Starry Sky in Autumn Translation Project Continues: Translators needed! 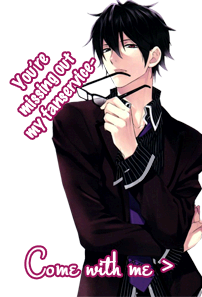 What is your thoughts on otome games? Does anyone here know where can I download "Dousei Kareshi Series"
This is SO not an excuse to post pictures of bishies. Not at all. SEME/UKE QUIZ! What type of seme/uke are you? Where did you find the forum?